The Noble Company maintains a roll of arms as a service for its members. Arms granted by a state or sovereign house are eligible for inclusion. The consideration of established and modern arms is a right of Companions in good standing. 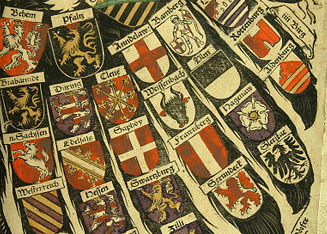 The registrations of arms by the Noble Company generally follow the heraldic customs of the Holy Roman Empire.